Achieve your weight loss goals - the simple & delicious way! 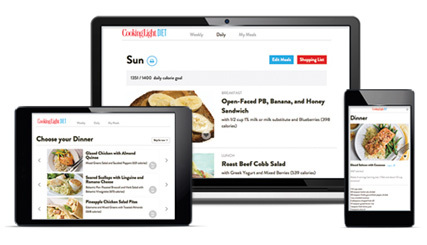 Get daily customized menus based on the foods you like to eat. Delicious, easy-to-make meal plans, including gluten-free and vegetarian options. NO PURCHASE NECESSARY TO ENTER OR WIN THE DREAM COME TRUE SWEEPSTAKES. A PURCHASE WILL NOT IMPROVE YOUR CHANCES OF WINNING. Sweepstakes ends: 1/31/17. Void where prohibited. See Sweepstakes Facts or the Sweepstakes Official Rules for details, including alternate method of entry and geographic eligibility. 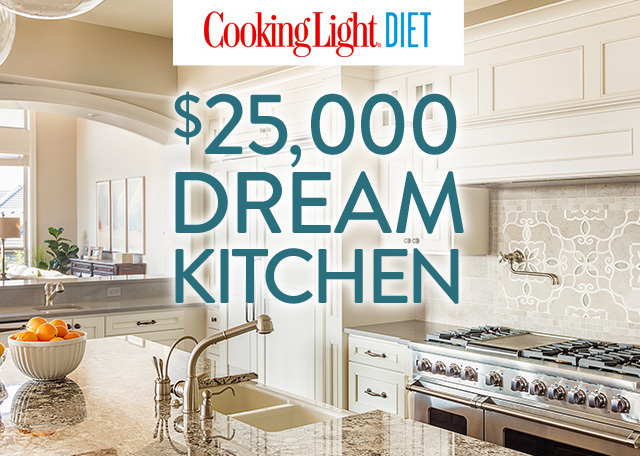 Sweepstakes may be presented in different creative presentations by different organizations, including, but not limited to: Cooking Light Diet. Grand Prize winner of the Sweepstakes will choose a Grand Prize from a variety of merchandise and vacations prize choices, including a $25,000 value Dream Kitchen.